Good. [ No Hassle 30 Day Returns ] [ Edition: Reprint ] Publisher: St. Martin's Griffin Pub Date: 8/12/2014 Binding: Paperback Pages: 512. 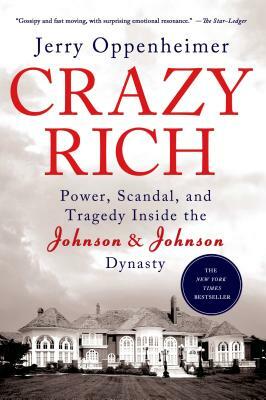 The author did a thorough and detailed study of the many generations of the Johnson family and left nothing to guess work. In that, the book was pretty complete. It isn't his fault that this dysfunctional family history is so appalling. I am not certain what I thought I was going to read. It was difficult at times to follow which member of the family in the family tree he was writing about. Even the generational family diagram took a good bit of study to follow. At least I know more about this sad family and can be gratified not to belong to their dynasty.